Nothing ruins a vacation quite like returning to find that someone burglarized your home while you were away. One of the most important parts of preparing for a vacation is making sure this doesn’t happen to you. Here are six ways to make sure it won’t. Next time you’re preparing to go on vacation, follow each of these tips to keep your stuff safe and have a worry-free vacation. Motion-activated outdoor security lights make it much more difficult for someone to sneak up on your home. They also deprive would-be burglars of the concealment that would hide their infiltration from neighbors. Most home break-ins are crimes of opportunity; burglars enter homes that are easy to break into. 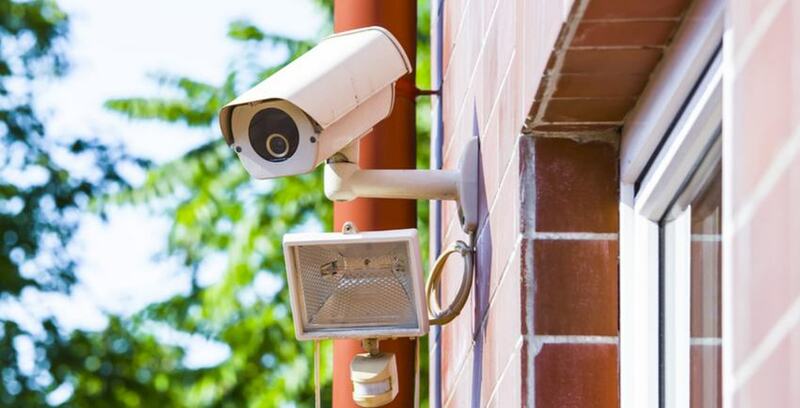 Outdoor security lights make your home much harder to break into, and much safer as a result. Don't update your voicemail, email auto-reply, or post on social media saying that you'll be away. Wait to post your vacation photos until after you get back home. If you can't resist the urge to post, make sure your social media posts are only visible to people you trust. It doesn't take much effort to update your privacy settings, and it can save you a lot of potential grief. If you have any spare keys hidden around your home, gather them up before you’re gone. If you’ve asked someone to look after your home while you’re gone, give them a spare key. Don’t leave keys sitting out for potential thieves to find and use. A great way to deter burglars is to take steps that make your home appear occupied with it isn't. Set up your lights to cycle on and off on automatic timers. Keep a car in the driveway if you have more than one. Ask one of your neighbors come by to collect mail, newspapers, and packages. Burglars look for homes that are unoccupied. If you can make it look like you’re home, they’ll stay away. There are a lot of technologically advanced, next-level home security systems available these days. The best options are ones that are professionally monitored. If you install one of these, you won't have to obsess about self-monitoring while you're on vacation. When you leave home for your vacation, close the blinds in rooms that have large valuables in them. If you’re going to be gone for an extended period of time, it could be prudent to go further. If you’re already renting a storage unit, why not move your especially important valuables to that second location? Professionally-monitored storage units could guarantee your stuff’s safety while you’re away. If you don’t already have a secure storage unit to use for instances like this, get in touch with Storage Direct today. We’re happy to help you enjoy your vacation without worry.